The renowned John Moran Auctioneers displayed some of the world's best jewellery pieces at their semi-annual "Fine Jewellery and Luxury Auction" held at their headquarters in Altadena 20th May 2014. Reports suggest that there was stiff competition among the buyers for the wide range of offerings, evident by the fact that nearly 98% of the 328 lots were sold off. Apparently several items which were practical and wearable pieces were the preferred choice of the buyers. The sale items which consisted of trendy fun rings with unique character drew a lot of attention at the auction. 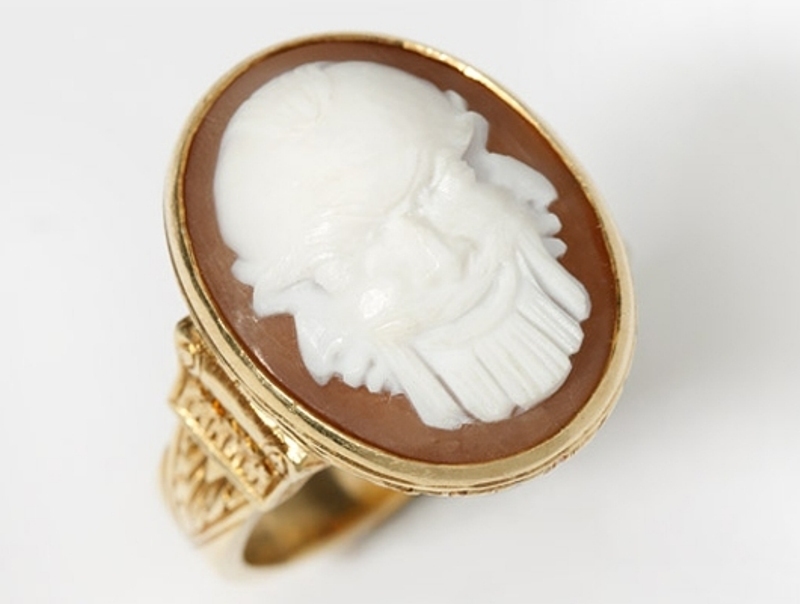 One such piece was the 1890 intricately carved shell cameo ring depicting a male face on the top and left and right profile views simultaneously. Initially the pre-estimate price of the piece was in the range of $600-$800 which eventually fetched the bidder much higher amount of $1680. Another jewellery which created lot of attention was the 19th century ring designed in the coveted Renaissance Revival style with a button shaped pearl right at the centre flanked by two female ship’s mastheads, went for a price tag around $9,000 way over the $1,500-$2,500 estimate. Reportedly several breathtaking diamond rings were also on display where the centrepiece, an impressive 8.54-carat diamond, graded G colour with SI1 clarity and set in platinum. Eventually prized with huge amount of nearly $204,000 the pre-estimate price was conservatively fixed around $90,000-$110,000. Another magnificent coral, diamond and gold necklace was displayed in the auction which was centred by an 18K-gold dragon’s head set with diamonds and coloured gemstone with a pre-sale estimate of$6,000-$8,000 finally sold for $15,600. 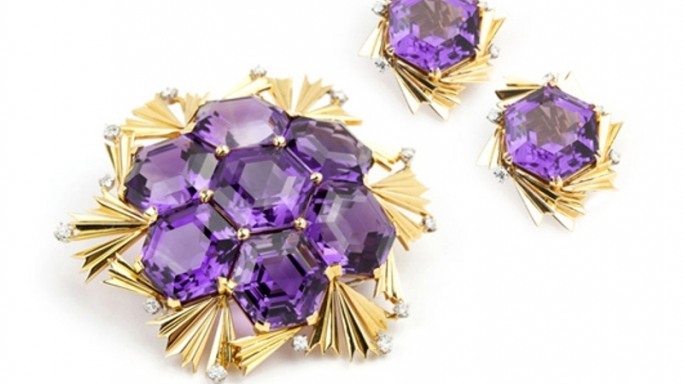 However the most spectacular piece of luxurious jewellery among all those pieces was an assembled set of very beautiful hexagonal-cut amethyst and brilliant circular-cut diamond jewellery, including a brooch by Jean Schlumberger and a matching pair of ear clips by David Webb. This particular piece surpassed its pre-sale estimate of $8,000-$12,000 with the final amount being $19,200.